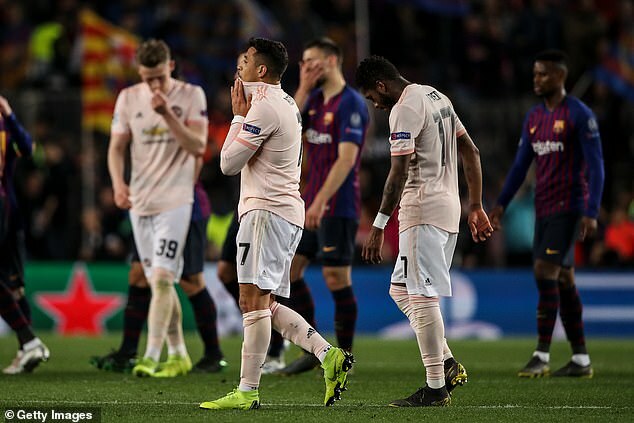 If you wanted to be cruel, there are a selection of images available that illustrate just how miserable an evening this was for Manchester United. 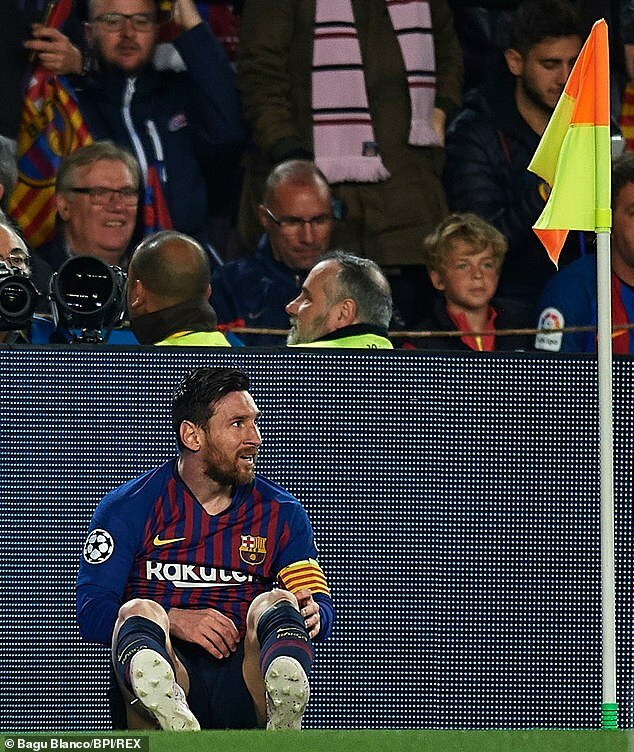 Lionel Messi sitting by the corner flag smiling after the rings run around three United players were squared by a playground shove from an exasperated Scott McTominay. David de Gea trying to hold a soft Messi shot like a child trying to contain a pet rabbit. United’s away end emptying with 10 minutes to go. 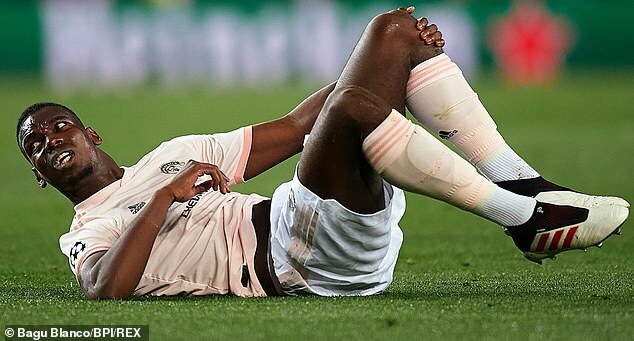 Paul Pogba falling over. Each would portray the discomfort, the embarrassment and ultimately the pointlessness of this evening from a United point of view. If we needed to know exactly how far United have fallen since the years when nothing scared them – if anybody hadn’t been paying attention – then here was the evidence. Maybe, then, it’s better and just as instructive to focus on Messi’s opening goal. As much as anything that followed, it was a goal that shaped and ultimately settled this tie. Poor by his standards in the first leg at Old Trafford last week, Messi seemed intent on resurrecting the true image of himself here. The 31-year-old was recognisable once again and never more so than in the timing of his first real intervention. Barcelona, strange as it sounds now, had looked vulnerable early in the game. United had found space to explore. They had hit the bar and fluffed another good chance. So Messi’s goal was important and it felt so at the time. If didn’t really look on either. The way Messi had shaken off the attentions of Ashley Young (twice) and then Phil Jones as he moved right to left across the top of the penalty area was recognisable but as he looked to release his shot, he looked to have about half a foot to aim at. De Gea had his angles right and must have fancied his chances. Top corner would have given Messi a puncher’s chance but instead he went low, drawing a stunning left foot shot away from De Gea and then back behind his right hand and in to the goal. It was one from the Messis showreel, a classic. We have all seen it before but that does not lessen the quality or the impact of the moment. For United it must have felt like a door being slammed in their face, the scorer scampering away to take the applause with the key tucked in his sock. Strictly speaking, the goal didn’t change United’s task. 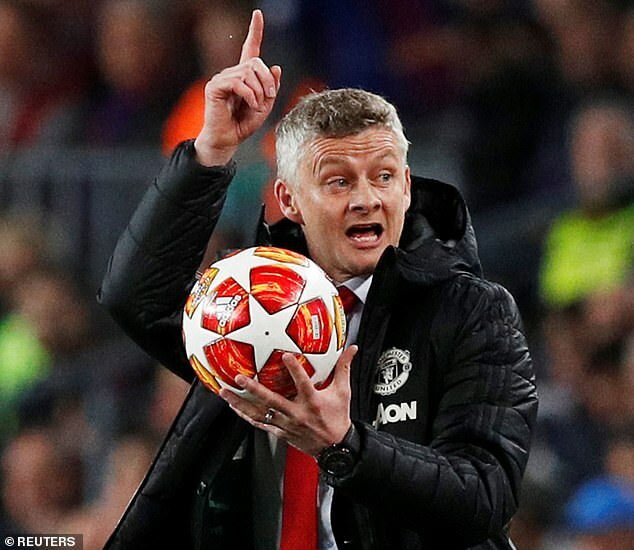 Ole Gunnar Solskjaer’s team needed two goals to win before the game started and – on account of the away goal rule – that remained the case. But the reality is that the goal changed everything. It changed the mood in the stadium, the mood amongst the two sets of players and it changed the momentum of the game. Before, United had felt they were making some progress. Barcelona were skittish. But this served as a reminder of Barcelona’s capability. Like a boxer landing a lone punch on a challenger’s jaw, it set United back on their heels and they simply never recovered their balance or poise. What we saw here told us much about United and not much of it was good. The last time they played at the Nou Camp was on the way to winning the competition in 2008. They drew and Cristiano Ronaldo missed a penalty. That team had Rio Ferdinand, Patrice Evra, Ronaldo, Wayne Rooney and Carlos Tevez in it. Ryan Giggs was on the bench and Nemanja Vidic was ill. That team used to travel in hope and it was little wonder. The current version has merely wandered around Europe this season chasing miracles. Remarkably, they found two, winning at Juventus and PSG. But those were nights when fortune was in their corner. 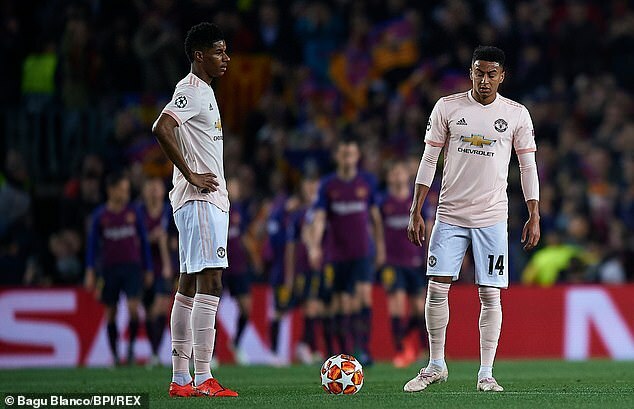 More telling is that fact that United have scored once at home in the Champions League all season – Marouane Fellaini in the last minute at home to Young Boys – and prior to Alexis Sanchez’s diving header at the death here, had mustered two shots on target in 180 minutes of football against a Barcelona team that doesn’t always look as though it knows how to defend. So, yes the truths of the modern United were once again laid bare here but that should still not detract from the enduring ability of one man to twist, bend and mould a football match in to his own idea of where he feels it rightfully should go. 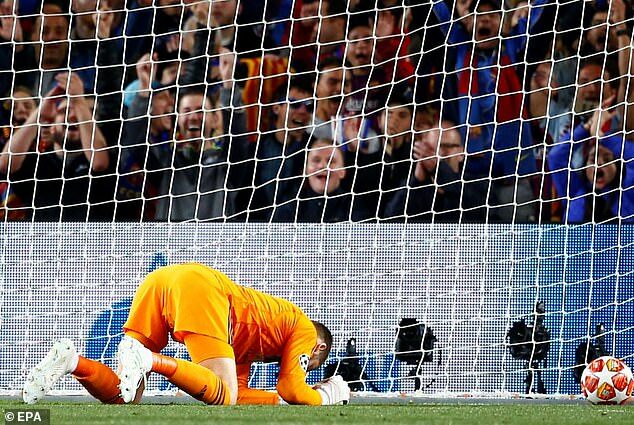 Messi’s second goal was a disasater for De Gea, a goalkeeper no longer a stranger to occasional mistakes. But would it have come without the first? Maybe not. After all it came on the back of the shift in pattern and rhythm of play that was instigated wholly by the Barcelona captain’s opening masterpiece. Philippe Coutinho’s second half goal was equally as special but that served as decoration and there lies the crucial difference. 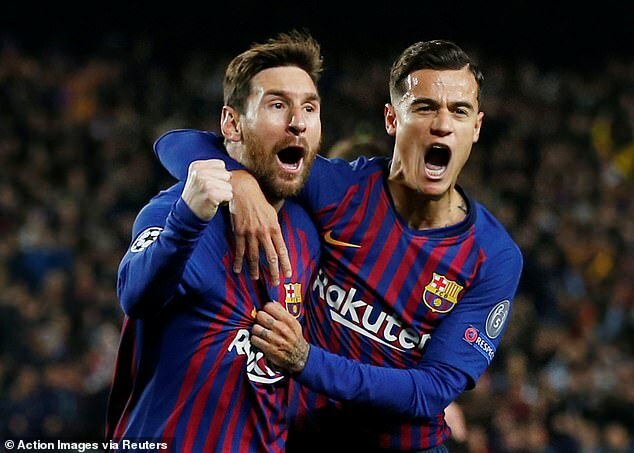 Coutinho and Luis Suarez carry their own threat but if Barcelona are to win the Champions League for the first time in four years then one feels Messi must be at the very heart of it. If it is to be Liverpool for them in the semi-final this year then the Merseyside club should be optimistic. There are flaws in this Barcelona team. One thing about them remains exacty the same, however, and it comes wearing the number ten.